1998 Desoto Classic Grand Champions!!! !!!!!! UPDATED for 1999-2000 Season !!!!!! 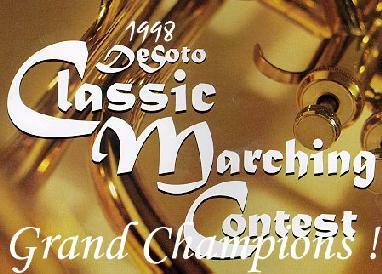 2, SATURDAY - Desoto Marching Festival - 1998 GRAND CHAMPIONS!!!! out to check us out!! !